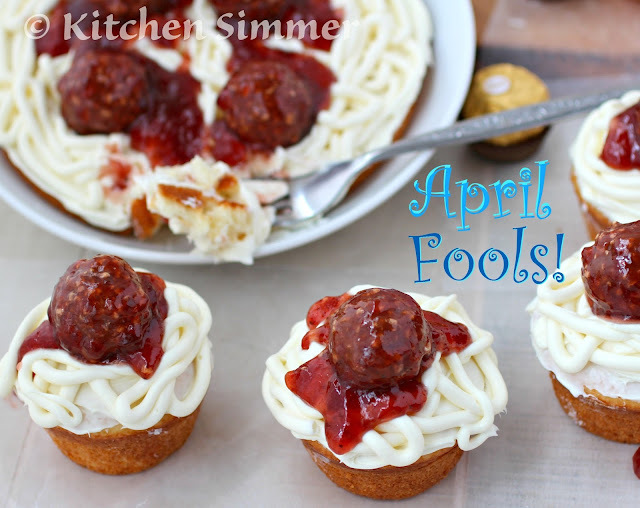 April Fools' Day is here and we've got a few tricky dishes up our sleeves to fool your favorite people — but don't worry, they're more fun than foolish! Fool me once, shame on you. Fool me twice, shame on me. Fool me with food, and you've waged a war. We know a bit about being duped with food and on April Fools' Day — we've got our guards up, and strategies ready. But we make our food fights fun, so in the spirit of the trickster holiday we pulled some of our favorite harmless recipes to fool your favorite people. Take a good look at this hot pink pie — you see a sweet pie, but under that layer of "strawberry cream," you get a savory surprise! It's basically a meatloaf pie. It sits in a standard pie crust and is topped with whipped potatoes mixed with beets. That sounds pretty good, actually, but how upset your victims will be probably depends on their age. Just be kind, and have a back up treat ready. Imagine taking a long pull of this sweet berry soda to celebrate spring. And you keep pulling, and pulling... but no fountain of fizz ever reaches your mouth. Confused? Yes. Disappointed? No! The trick here is that the drink isn't a drink at all, it's a gelatin dessert made to look like a drink. Your victims might actually be happy to be fooled by this one. If you're serving this to kids, they'll think they've been tricked by an angel. Picture sitting down to a spaghetti dinner and, instead of getting a mouth full of noodles and meatballs, you bite into frosting and chocolate bonbons covered in strawberry jam! Delighted? Yes, you are, and so are your victims. If you're dying to do a mean-spirited trick, this is what we can deliver: a chocolate bunny filled with broccoli. The conflicting flavors will certainly throw off your victims, but it won't scar them the way biting into a chocolate-covered kitchen sponge would (true story; it happened to me and I haven't recovered). If there's a cupcake that could lure someone to the dinner table, it's this one. Fancy "frosting" is piled on top of a meaty "cake" to catch your targets off guard. It's the same idea as the strawberry pie, just in miniature form and it's tasty enough that they'll bounce back from the shock and awe in time for a real dessert. 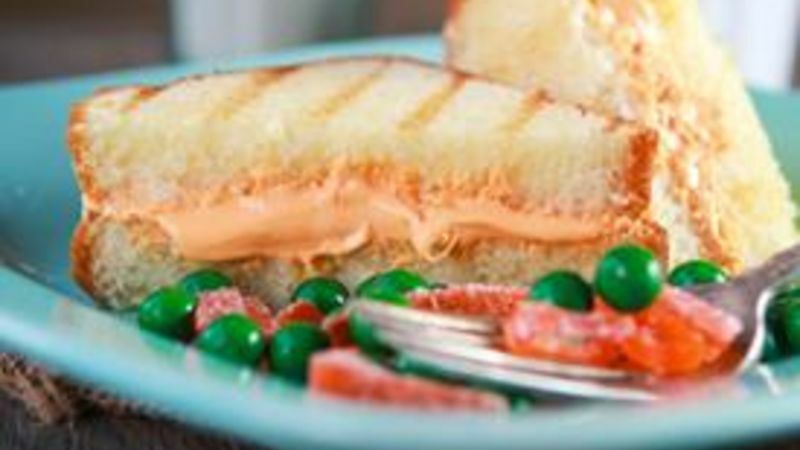 Halloween is a ways off, but this grilled cheese fits the form of both trick and treat. Basically, it's cake baked in the shape of sandwich bread with frosting where one would expect cheese. This is the kind of surprise just about any kid would love to find in their bento box. This cake is designed to look like a bundt cake drizzled with a sugar glaze. Spoiler alert: there's no sugar in this cake. The "icing" is melted mozzarella and the filling is made up of pepperoni, sausage, and pizza sauce. It's basically pizza, so your victims won't be that upset but after a mirthful mouthful, they might still have a hard time trusting you again. We suggest you earn back that trust with a treat that is as pleasantly sweet as this cake is punitive. This trick was composed with a sleepy sweet tooth in mind. When they tumble out of bed and to the table, the last thing they'll expect from these sunny side up eggs is a bite of lemon curd-covered meringue. This protein replacement might only get them to the bus stop, so make sure you pack them a sensible lunch. If you must be mean, do it with ice cream — not in the vanilla-sriracha swirl kind of way, but in a cookie kind of way. These adorably tricky ice cream cones are cookies in disguise — the dough is mixed, colored, and baked to fit into wafer cones so when your targets take that first lick, they'll be surprised but not disappointed. That's our kind of trick! Not everyone has a devious side so we're including one April Fools' Day treat that's not beguiling but it is blissful. Fruit fools are pureed fruit folded into whipped cream (and sometimes custard) for a light and sweet dessert on a warm April day. The best part is that you're not making a fool of anyone but dessert. How to Make Homemade Mayonnaise in Minutes!